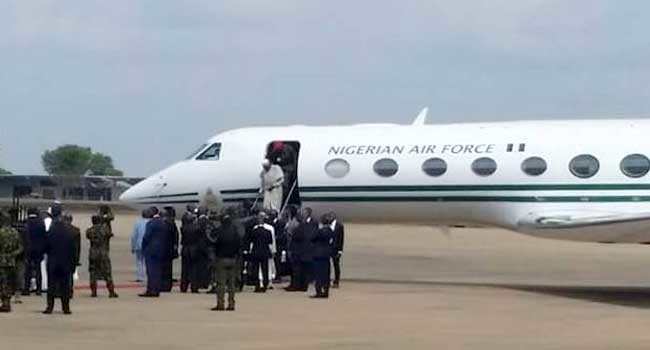 The two-day official visit of President Muhammadu Buhari to Lagos State has recorded its first causalities. The victims are students in public schools. The students, who are currently writing their second term examinations were forced to take examinations meant for two days in one day. Recall that because of the visit, the Lagos State government had on Tuesday declared Thursday a work free day for workers in the state. The holiday according to the government is to enable Lagosians come out en masse to welcome President Buhari. Because of the impromptu public holiday, the students were forced to take examinations meant for Thursday on Wednesday. Many of the students were surprised and upset when they were told that tomorrow’s papers would be written today. Bounce News investigations revealed that some of the students took as many six papers on Wednesday. Badly hit were primary school students who started their examination on Tuesday, March 27 (yesterday). One of the papers that was shifted was Physics, which requires a lot of preparation and revision. To enable the students, finish their examination, the government extended the closing time from the normal 3pm on Wednesdays to 5pm. It was gathered that the extension left many of students fatigued. Many students , who spoke with Bounce News complained that they felt stressed taking exams under duress. "I do not think this is a good decision on the part of government," one of the students said. Tunde Oyewale, a SS2 science student in Ilupeju Grammar School noted that the shift has caused severe strain on the students. “Although, I have read for the exams very well, I have already zeroed my mind on Thursday as the final day of the exams. He added that the adjustment will definitely affect the results of students in the subjects that were moved forward. “The high-flyers took the challenge up, but I doubt if the average ones were able to cope. “It is totally inappropriate to make pupils write six examinations and sit for long hours,” said Tunde Awodein, a lecturer in the University of Ibadan School of Education. “It’s certainly a strange format. To write a single paper you have to prepare really well, but I can’t imagine 6 papers on the same day. “By the time they wrote the third paper their attention span would have be less, making it harder to get the best out of the children,” he said. More people are expected to feel the pain of the President's visit. Already, the government has announced temporary road closure and diversions in some areas. If you truly have no business being out on Thursday, April 1, please stay at home.